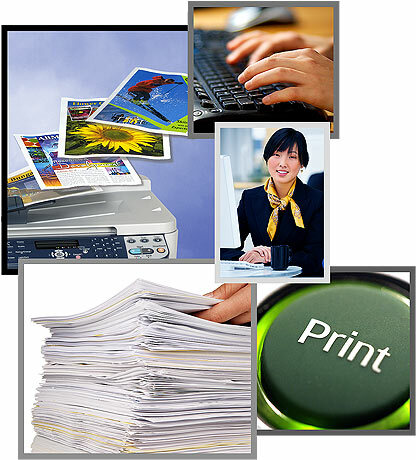 OptiPrint, Optimized Print Management Solution. Why OptiPrint Managed Print? In today's economy, more and more companies are looking at ways to reduce their overhead expenses. When it comes to looking at ways to strip cost, office printing has largely been ignored. Yet it can consume up to 7% of a company's annual revenue. According to recent studies conducted by Gartner, IDC, and Cap Research, businesses that actively manage their printing infrastructures stand to reduce their overall costs of printing by up to 30%. These savings can be enormous. Under a managed print environment a company knows exactly how much they are spending on printing every month. With the information obtained thru OptiPrint's technology, not only can an organization pinpoint the exact cost they can also allocate those costs back to the department responsible for incurring the costs. The OptiPrintSM strategy not only gives you a way to manage and reduce office printing expenses it also allows for the budgeting of those expenses. OptiPrint's program helps maximize ROI through fleet uptime and optimization, reliable support, and supplies management. Nothing can be more frustrating than having printers that are down with no toner or technical issues. OptiPrint's managed print solution is backed with the technical support needed to keep your fleet running. Technicians will be available to solve issues over the phone or for more serious repairs a repair agent can be dispatched to your location with in 24 hours. Our services allow IT and end-users to save time and work more effectively; free up technical resources; reduce help desk calls and to simply keep your business up and running.